√3D Applet for selected diamonds (if a diamond you seek to buy does not have 3D then email us, we will make 3D for you). √Advanced Search Options, including "Send us your demand" feature. 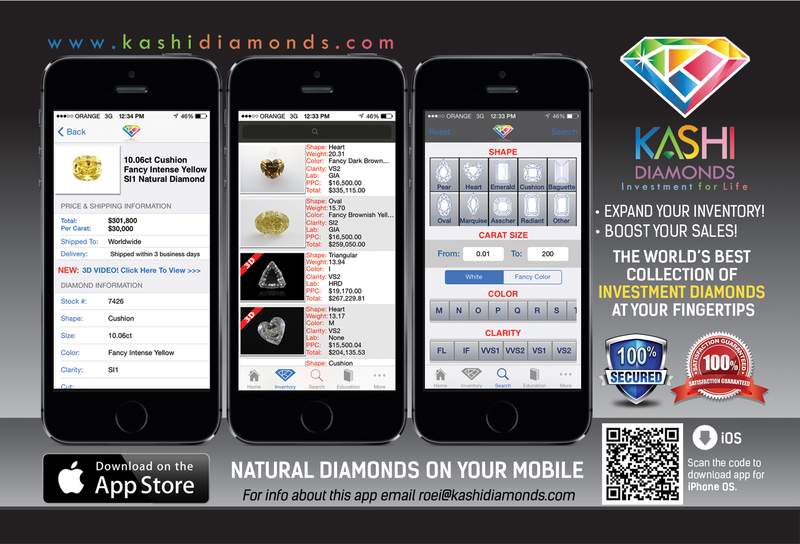 √Ability to call us, email us, chat with us, or skype us (voice and chat) about any diamond from within the app. √Share our diamonds: save to your phone, email your friends, copy and paste to a message, print certificates, and post on your wall - all without leaving the app.